As water temperatures rise, southern New England is losing its lobsters. Lobsters in the Northeast are facing serious challenges because of climate change. “I really wouldn’t put this on fisheries, at all,” Lavalli said. Rising water temperatures affect lobsters – and the lobster industry – in a number of ways, some of which were highlighted at a recent international conference on lobster biology. Lobsters have been moving farther offshore, into deeper, colder waters, making it more difficult and expensive for lobstermen to pursue them. Lavalli says research has also shown that warmer waters change the suite of microbes that live on lobsters' shells, and increase the incidence of shell disease. And the impacts of rising temperatures aren’t confined to direct biological effects on lobsters. There are ecological impacts, like changes in predators. Research suggests that lobsters can, and do, learn to recognize new predators. Already, lobsters from Massachusetts and elsewhere in southern New England recognize and avoid black sea bass, while Maine lobsters don’t. And Lavalli says the black sea bass won’t be the end of the story. As water temperatures continue to rise, there are other sub-tropical fish who are likely to show up in southern New England – fish who are not “so much swallowers, but are smashers.” Lavalli says that many tropical lobsters and mollusks have spines to protect themselves. 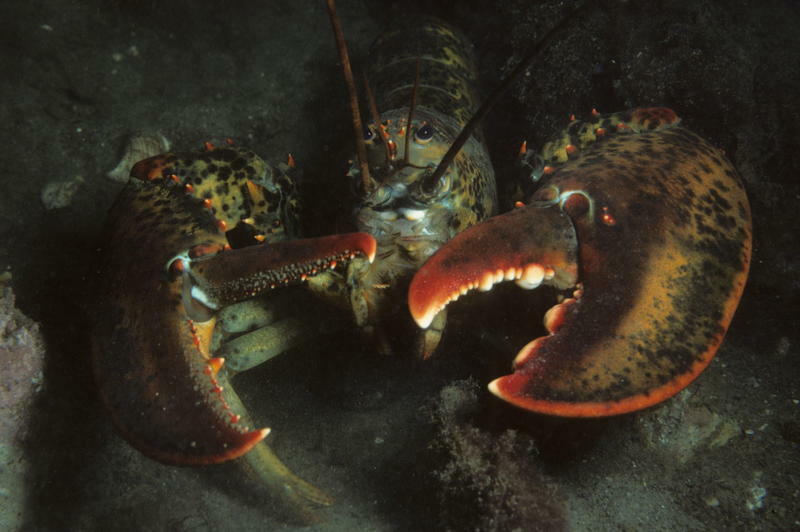 It’s not clear that southern New England lobsters will win this war, with or without smashing predators. Cassoni says her group is asking regulators to lower some of the historical thresholds that are used to define a fishable population, because those expectations are no longer realistic. And Lavalli says there’s not a whole lot that regulators can do to bolster these populations. Generally speaking, fishery closures and marine protected areas take a long time to show benefits. And, in coastal areas where the water is simply getting too warm for lobsters, Lavalli says such measures are unlikely to have much of an effect.